Let’s face it. Your customers are going to have many questions and you can’t really talk to each one of them personally to explain what your business does. Enter – a good, effective FAQ page. An FAQ page is a powerful communication tool that won’t just help educate your customers but also help boost sales by pushing up your conversion rates. The primary function of having an FAQ page is to be able to help your customers find answers to product/service-related questions. Crisp, straight-forward answers, written in simple language works the best. If you are in an online business, getting an FAQ page can considerably drive up your online sales by increasing conversions. How? Putting the right kind of questions that don’t just answer a customer query but also add value to their learning experience. Someone browsing through your FAQ page could be your potential customer and you would not want to lose out on these leads. Search engines absolutely love FAQ pages. Stuffing your FAQ page with keywords that rank high for your business can help you show up on the top when someone searches for those keywords. It is important to make it an easy read and not come across as “spammy.” Too much keyword stuffing will take away the functionality of your FAQ page. 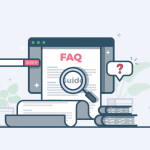 A good FAQ page can help you save on long, winding discussions with a customer about your product/service, eventually sparing you quite a bit of time and money. Don’t have the financial bandwidth to employ a support team? Make an informative help centre page. When you are solving a problem for someone looking for answers, it automatically establishes you an expert in your field. A good FAQ page can do just that for you. If your page has just the right amount of information that is helping the user find what he/she is looking for, you’re not just positioning yourself as an educational brand but also a leader in your operation space. This will also help the user gain more trust in your brand. What to Put on Your FAQ Page? Your FAQ page can go wrong on so many levels. 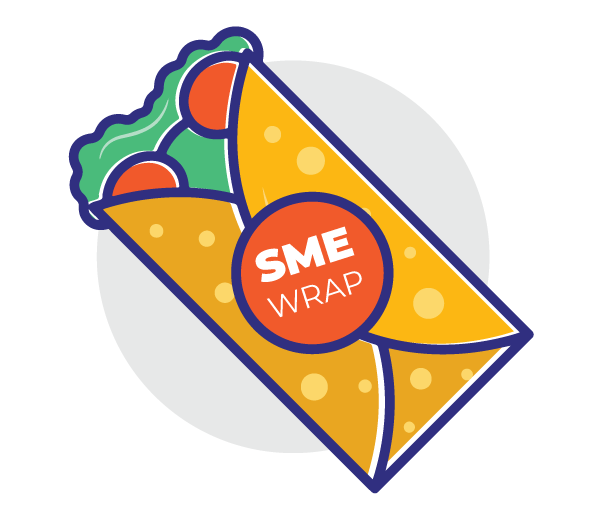 You may feel compelled to put in every bit of information about your product/service. However, it must be a perfect balance of what the customer is looking for and also help generate interest in your brand. Not everybody that has a question about your product/service will be your customer but they are all potentials. Sometimes, existing customers may want to visit your FAQ page to try a new feature or get help with an old feature. The first place to look at when crafting an FAQ page is to look at the SOS emails you get from your customers. What kind of questions are they asking? What do they need help with the most? Is there a recurring question? How are you solving it? 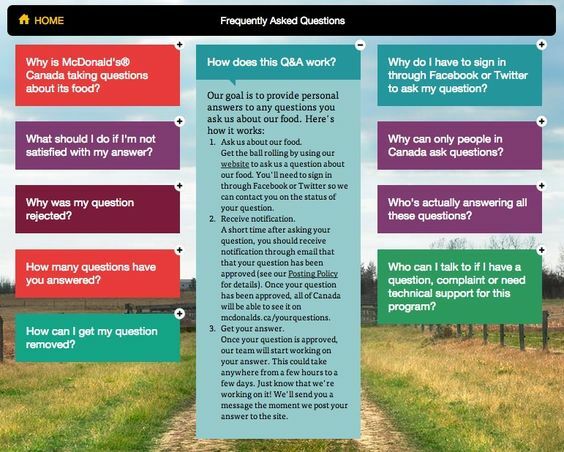 These questions can help you frame your FAQ page in detail. This is an extension of emails. If you already have a social media presence and your customers are interacting with you over these platforms, you can come up with a list of frequently asked questions on social media and start with those. Look at the kind of things they frequently contact you, for help with. 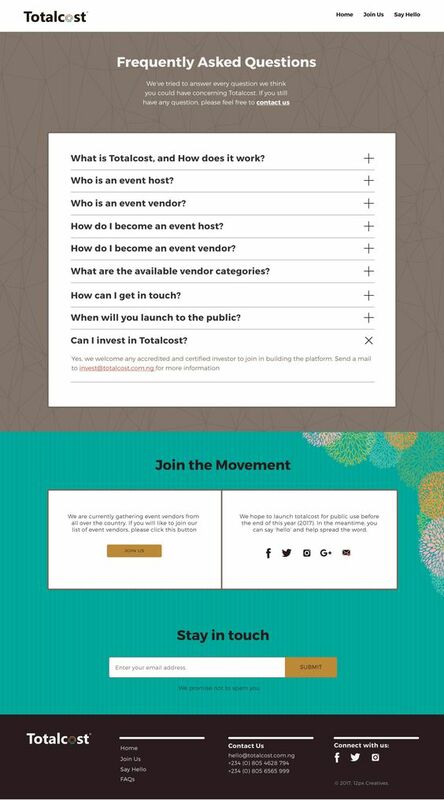 You can ask your customers to help you out with your FAQ page. That way, they don’t just feel important and valued but also strengthens brand loyalty. You can later send them a discount coupon or a freebie as a token of thanks. Your FAQ page must be in-line with your business-type. If you are a service-related business, it’s best to position your FAQ page as a “Help” section. Make the FAQ page positive. Even if you find some negative questions, frame and answer them in a positive way. For example, tackling bugs and features issues. Put your questions in a logical order. Use images to make it more comprehensive and easy to understand. Design a good looking page – beautiful but functional. Create demand using strategic questions. 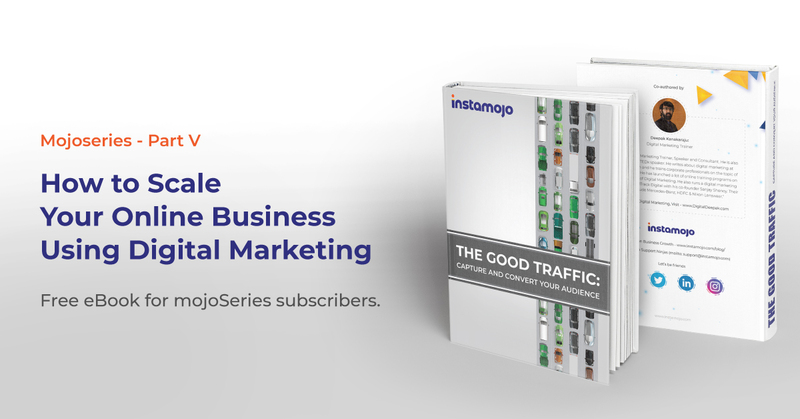 Insert links to wherever possible to take your customers to relevant landing pages. Let your customers search for their query. And if you are feeling creative, incorporate videos on your FAQ page to keep your customers hooked on every word. Check out the cool FAQ page of explainify.com. 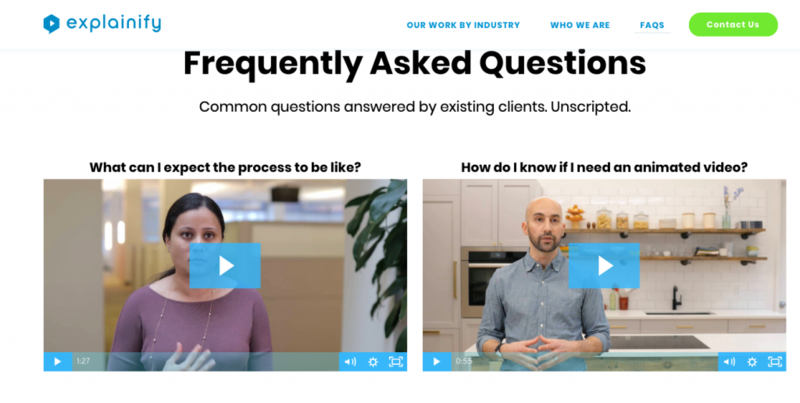 The company used a new concept of answering FAQs using short videos where in-house experts explain common questions to clients, quickly and easily. Have questions about Instamojo? 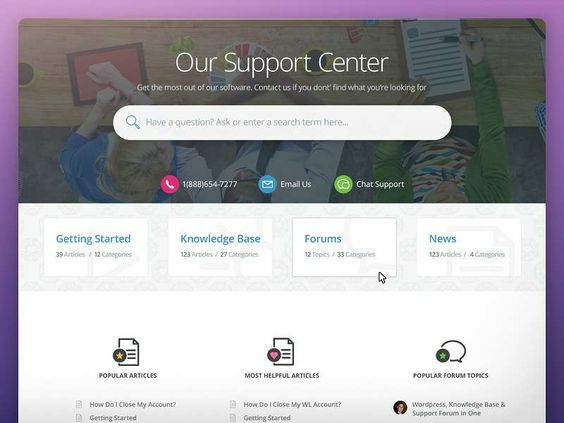 Visit our Support Center to get all your questions answered.